What is secondary infertility? It is wanting to have another child but having problems either conceiving or maintaining a healthy pregnancy second time around. Secondary infertility is little understood because it is hidden away and those struggling with this condition often feel guilty about the way they feel. 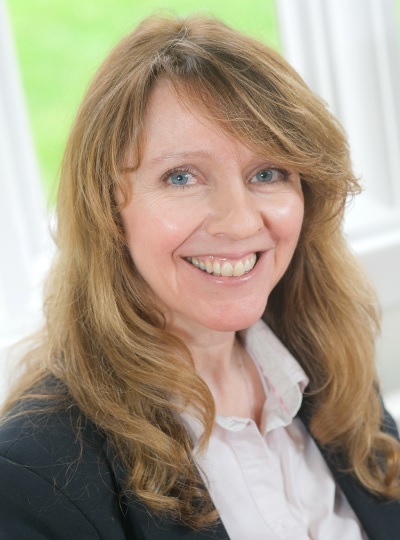 Independent Infertility Counsellor Jackie Stewart explains in this guest blog. Most people can understand and accept to some extent that not being able to have one child is a painful experience for those struggling to conceive. The dream of having a child is something people can easily relate to. The dream of completing a family doesn’t appear to be. It seems that once a couple have a child, they should be ever so grateful and move on with life happily. And that is why the pain of secondary infertility remains hidden, because this perception suggests they are ‘ungrateful’ for having one child already. It is as if they are not allowed to grieve for wanting ‘more than one’. Grieving for the dream of having a second child, or even more children, appears to be unacceptable in society and feelings are buried under the social pressure to hide them and get on with “counting your blessings”. How shortsighted not to see how deeply grateful a person is who already has one child. Their grieving has nothing to do with that child. It is simply wanting desperately to have a sibling for him/her and to offer more love to more children, as many other women take for granted. A relationship can be affected by the pain of secondary infertility, as the yearning to fulfil an often longed for dream to complete the family can be misinterpreted to mean ‘we are not enough for you’. This does not allow for the sense of sadness or feelings of loss that is being experienced by a natural grieving process. It is not an indication of how much love and gratitude is missing but of how much there is still to give. Feeling guilty for wanting more children is often coupled with feeling inadequate, sad and anxious for not being able to have them. When a person’s feelings are not acknowledged in a compassionate way, it reinforces a sense of guilt and shame in them. They then feel that they ‘shouldn’t’ have these feelings or talk about it and they suffer silently. What is needed is understanding for secondary infertility not judgmental comments or platitudes. Patients with secondary infertility are indeed grateful for their first child, however their pain at not being able to having another turns inwards, with feelings of shame and self-blame for ‘complaining’ about it. They are among the invisible sufferers of patients experiencing infertility. It is true to say that not everyone with one child is grieving as that may be their wish and their dream fulfilled. However, for those who are grieving for the dream to complete their family, it could really help for their feelings to simply be acknowledged. Raising awareness and understanding could help them to receive a little more compassion and empathy. I would like to encourage an on-going continuous secondary infertility support group, where patients who are suffering can help to support each other. They can contact each other be it via email communication, an on-line social media group, or meeting up at local coffee shops to talk. Individuals would, of course, only be contacted with their explicit consent. Jackie is one of several independent counsellors who provide support to Bourn Hall patients. Click here to find out more about our counselling and support services, including our Fertility Support Group led by Jackie.